So I ask again in another chat. Same details; same result. Searching my email for the password to ensure I have copied and pasted it correctly, it turns out Vodafone sent the details automatically shortly after setting up the account. So, different username format.. I'll give that a try.. Authentication failed. Finally, do the (now) obvious and try [email protected] It works! Beggars believe that Vodafone: 1. Haven't checked their automated email for obvious inaccuracies and would send a no-subject email to new customers, and 2. their own tech support can extract wrong details from their own systems. I'm glad you got it sorted. A suspicious mind might think they are doing this to gently dissuade people using third party modems/routers. Just a mistake I would think. Vodafone changed their policy on using 3rd party equipment about a year ago. You are likely to be asked which equipment on the BT Sin 498 list you intend to use but no checks are made to ensure that you actually do that. I don't think that the equipment that BT customers are supplied with is on this list! When I was "told" my username, vodafone technical support managed to forget the @ and everything to the right of it! BT cannot legally enforce SIN 498 on anything. To do so would be breaking a number of laws. Most significantly the certification of compliance for telecommunications equipment is done at an E.U. wide level and we have not yet left. It's not much of a single market if as a manufacture of a VDSL router/modem I have to get it certified in all 28 E.U. member states. This is why all the BABT approved stickers have gone. No telecommunications operator is legally allowed to tack anything on top of that under any circumstances, period. have you fed that back to Vodafone? either via Twitter or their own Forum? 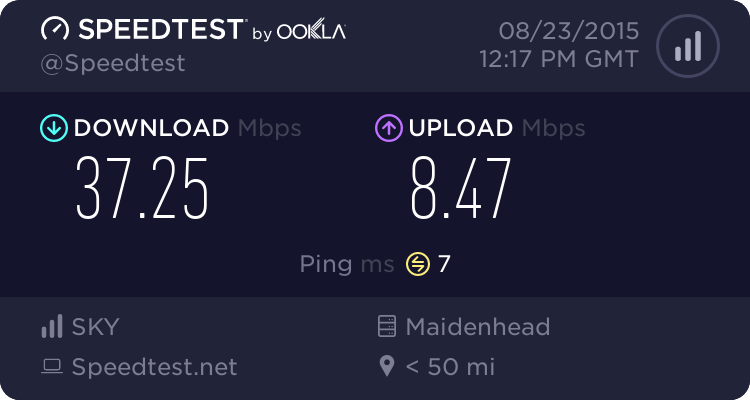 but thanks to you i tried @businessbroadband.vodafone.co.uk and all is now working.